The boys are back in action. 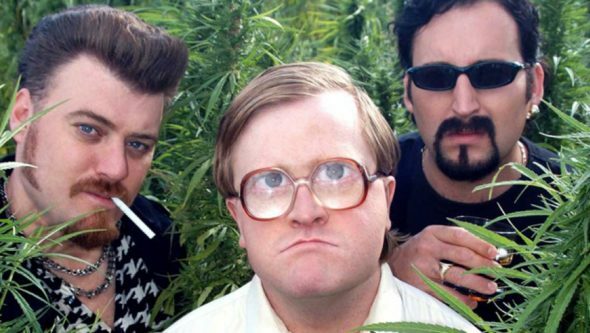 Recently, it was announced Netflix has renewed Trailer Park Boys for season 12. The Canadian mockumentary follows the adventures and schemes of the residents of a fictional Nova Scotia trailer park.The cast includes Mike Smith, Rob Wells, John Paul Tremblay, John Dunsworth, Patrick Roach, Sarah E. Dunsworth, and Tyrone Parsons. On the show’s official Facebook, it was announced that Netflix has officially greenlit a 12th season of Trailer Park Boys. Season 11 of the comedy was released in March. What do you think? Are you a fan of Trailer Park Boys? Are you excited it’s been renewed? More about: Netflix TV shows: canceled or renewed?, Trailer Park Boys, Trailer Park Boys: canceled or renewed? trailer park boys season 13 should be canceled because john dunsworth passed away last year. i am absolutely beyond excited. ive been waiting to see this since i binge watched the first 11 seasons and movies in a matter of a month. i love Bubbles, i think he really is my favorite.. julian is a hunk… but Bubbles… i need him in my life!